Latest version of Android 2.3.4 Gingerbread build code named N12 “UMay” has been released for Nokia N900.The latest NitDroid build brings much improved performance than the previous build N11 “Vostok” and fixes some problems which were present.Nokia N900 runs Linux based OS Maemo 5 .NITDroid project was started to bring Android to Nokia Internet Tablets like N810,N900.Latest Gingerbread build comes with new Gapps and some new features.Unfortunately still there is no support for voice call but 3G/2G data is supported and sending and receiving sms works. Today developer e-yes announced this build in nitdroid forum. I’ll update the tutorial with latest Gingerbread build soon. I am Hardik Parekh from India. Morever, I have a query regarding the latest CSSU community update of N900 which appears now a days whenver I switch internet ON on my N900. Its a 22.5 MB update. When I follow the updation, a message is flashed that “To install this update, connect your phone to PC in PC suite Mode. The nokia PC suite will guide you for the installation procedure.” When I did the same & clicked on “software updater” in Nokia PC suite in my PC, Nothing happened. Can You find/describe a step by step installation procedure for this update??? Thanks for your steps and i am able to install it onto my N900 mobile successfully. But i am facing problem with battery. It is discharging very fast and mobile back is heated up and there is no sound to caller or receiver when call established. Is there any fix available for these problems. Please let me know. These are known problems. Voice calling is still not supported in Android but it may come in future. Thanks for your update palban. What about battery problem. Battery heating up and quick discharge also normal behavior or anything is missed out in my configuration. Android is not optimized for N900 so battery will discharge fast compared to Maemo 5. In Android N900 runs in overclock mode (700Mhz processor speed) so heating is expected. can i use simultinously both system i.e Mamao and andriod? Hi shridhar, you can not dual boot both OS. During mobile start up you will get the option to select operating system. dear palban can i install android in nokia x2 ??? what about voice call? still i couldn’t do voice call through andriod which if i installed on N900. Suggest. every time i type the command to open the file it says can’t open input file n12_umay.tar.bz2: mo such file or directory and its in the right place ?? dear sir i am using nokia c5-00.2 5mp mobile. 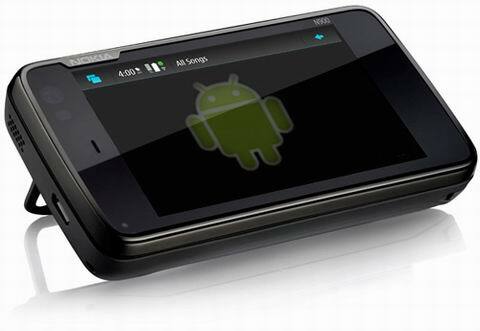 can i install android software and make download from android… is it possible?????????? how i can install android os in my nokia n900.